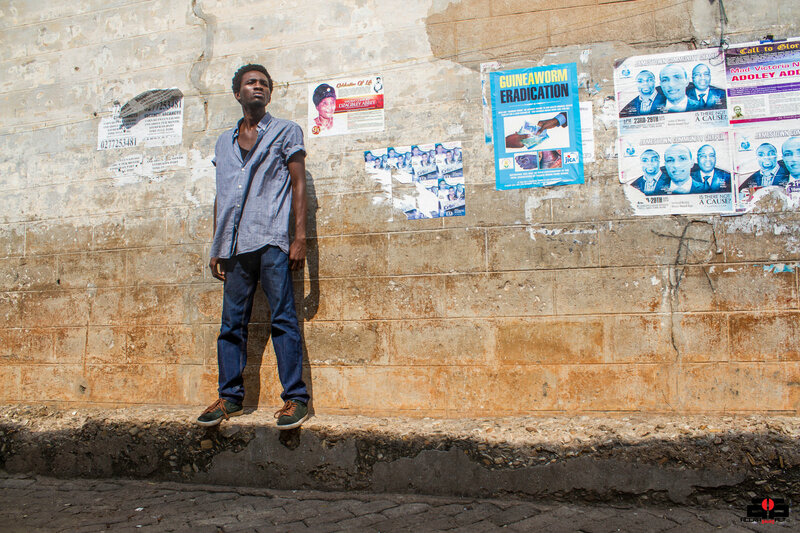 The official program for the 4th annual CHALE WOTE Street Art Festival has arrived. Flip through and be sure to catch all the dopeness this weekend! Find the full lineup here. We’re excited about CHALE WOTE 2014 and we can’t wait to see all you fine people out there show up. We have a lot of amazing things happening at this year’s event with an incredible slew of creatives who are sure to blow your mind. 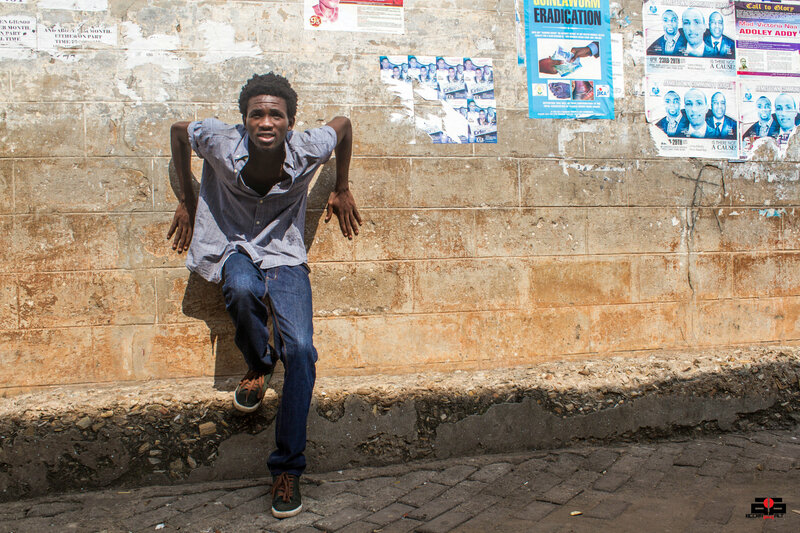 As we make ready for endless crowds to “Come to the Center of the World” on August 23 & 24, we give you more images of the artists who will jamming with us at the CHALE WOTE Street Art Festival 2014. 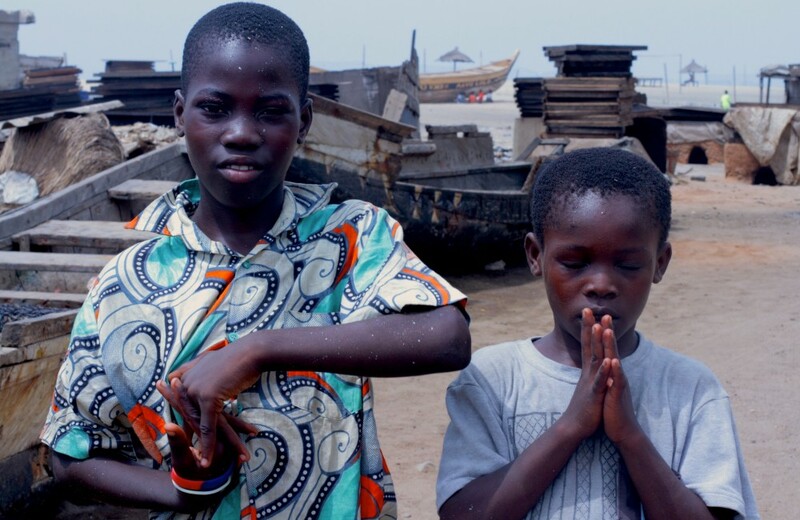 Strolling Goats in Accra with Chale Wote 2014. 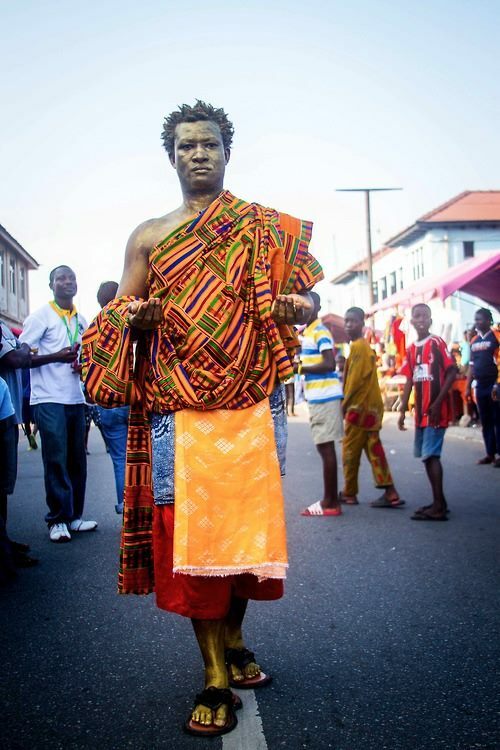 Chale Wote 2014 will open with a heady rush of sights, sounds and vibrant creations by Ghanaian and international artists in James Town. 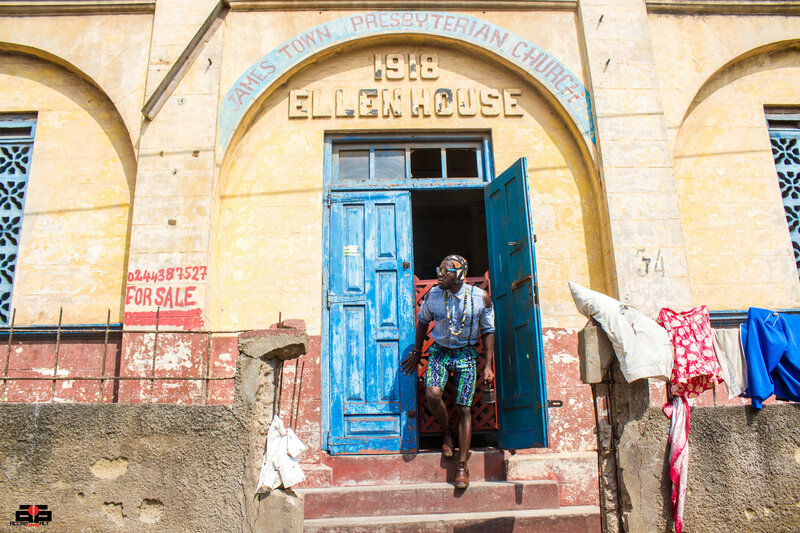 This weekend over 200 artists will transform old Accra into a live museum with a long trail of multi-disciplinary art. Festival producers, ACCRA [dot] ALT, are collaborating with REDD Kat Pictures, Foundation for Contemporary Art Ghana, the Accra Metropolitan Assembly, NO LIMIT Charity and Attukwei Art Foundation for this year’s festival. Which part of James Town will the festival be held? 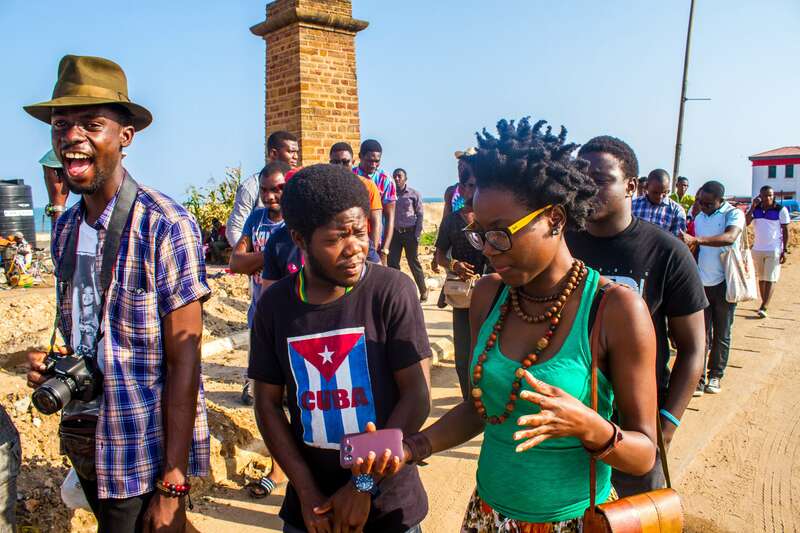 Here are more photos from the Strolling Goats in Accra with CHALE WOTE 2014. 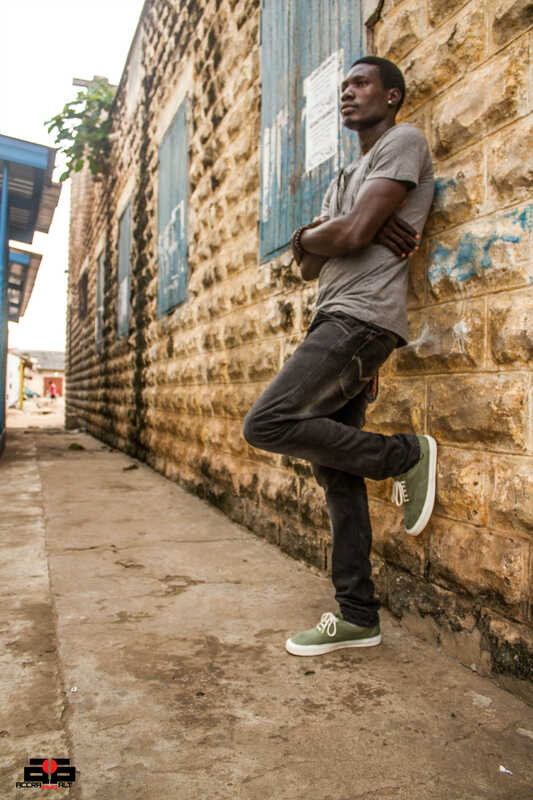 We are less than a week away from the Chale Wote Street Art 2014,and the artists + volunteers are ready to make the festival happen on August 23 & 24 in James Town. 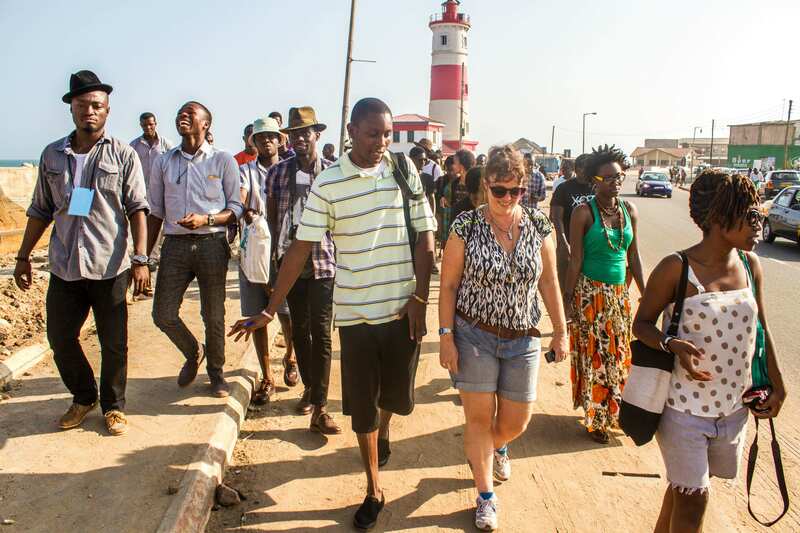 Strolling Goats in Accra, Chale Wote 2014 artists + volunteers touring festival routes. 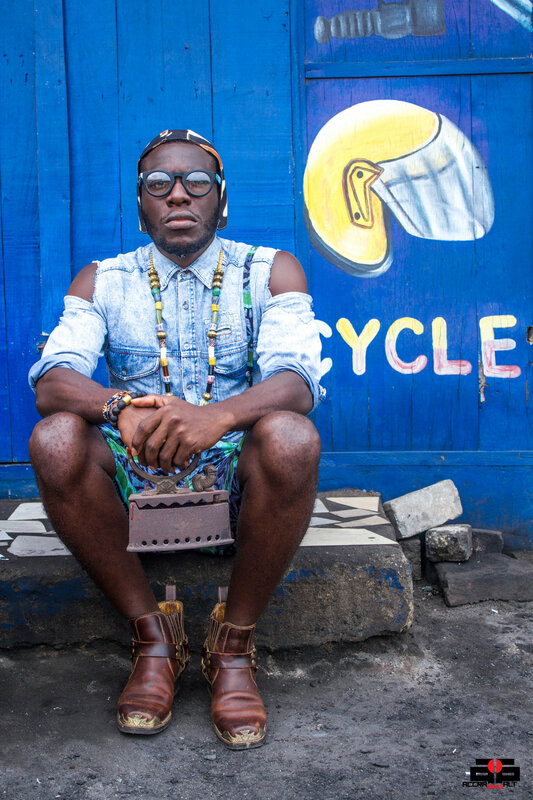 Accra’s most fashionable House Music DJ, Steloolive . As we ready ourselves for the CHALE WOTE Street festival 2014, we’d like you to familiarize yourselves with the works of some of the artists who are coming to the festival. 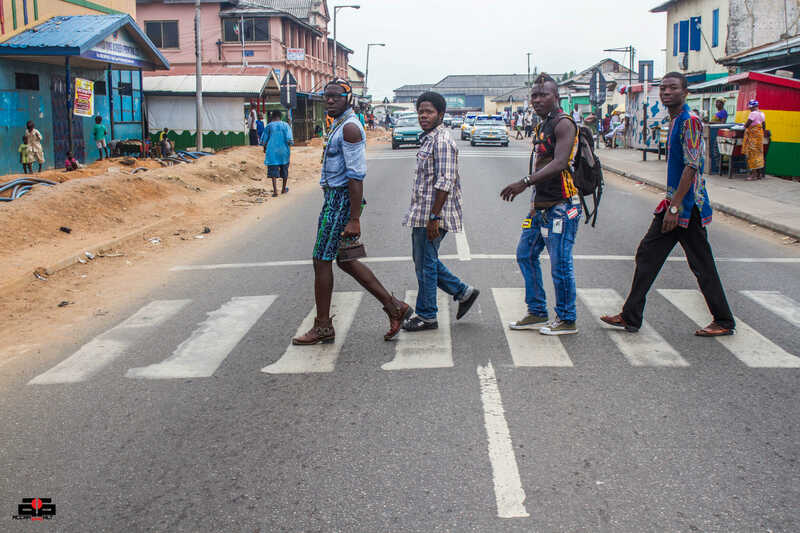 The Strolling Goats in Accra, DJ Steloo, Nii Aryittey, Abrokwah & Din. DJ Steloo will be rocking the turntables at the Accra House Music DJ booth. 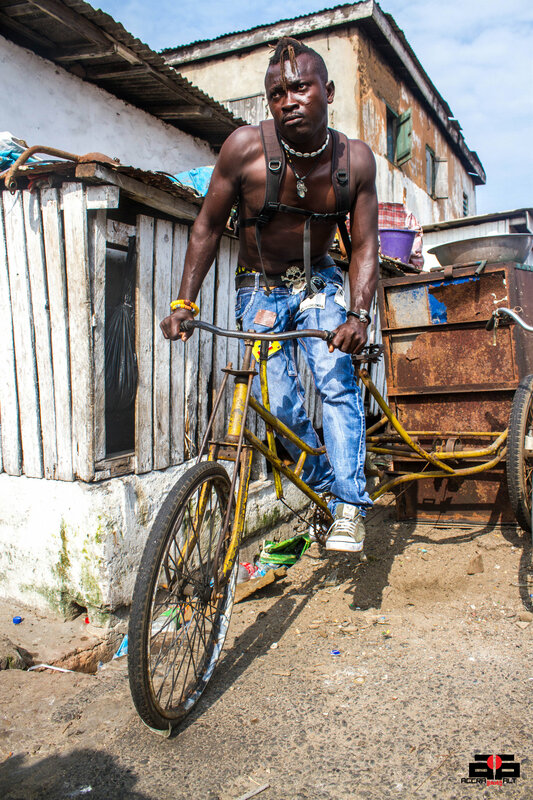 Abrokwah A.K.A “Bike Lord” is getting ready to serve some Kpakpo Shito Bicycle stunts at Chale Wote 2014. 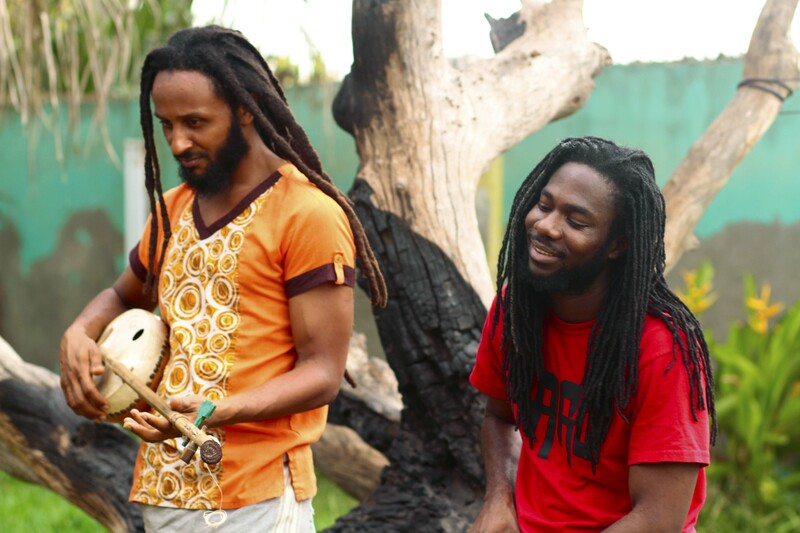 Nii Aryertey and Din are part of the amazing Chale Wote 2014 production team. 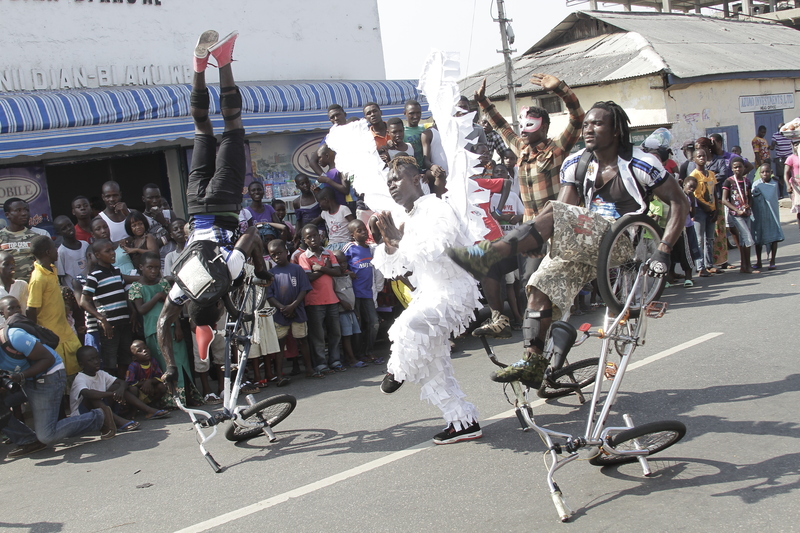 Here are more pictures of the Strolling Goats with CHALE WOTE 2014. This edition features some of the amazing artists who are coming to the CHALE WOTE Street Art Festival in James Town on August 23 & 24. 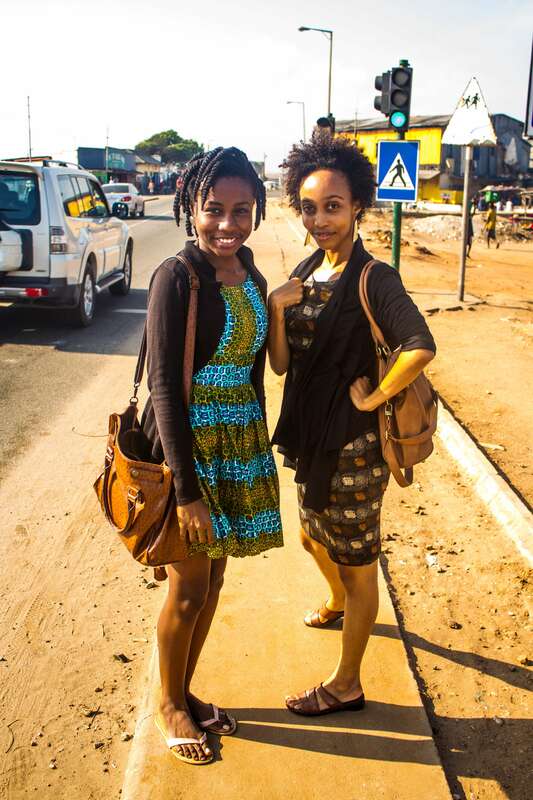 Emelia Pinamang Asiedu & Elisabeth Efua Sutherland of Accra Theatre Workshop in James Town. DREAMSCAPE explores the act of living as violence, following a young woman as she traverses a dream world, battling her mental fears.The piece asks the question, do we have the courage to take a hold of our destiny and translate dreams into waking? Does the strength we find in our daily death have any relevance in the land of the living? 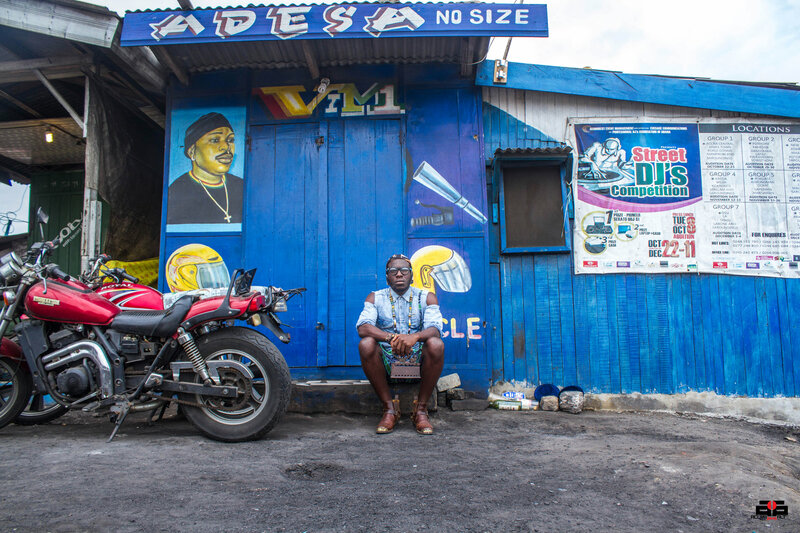 Here we are again with more visuals from Strolling Goats In Accra, featuring the artists who make Chale Wote pop. FCA director Adjoa Amoah contemplating a spin with the Prince. 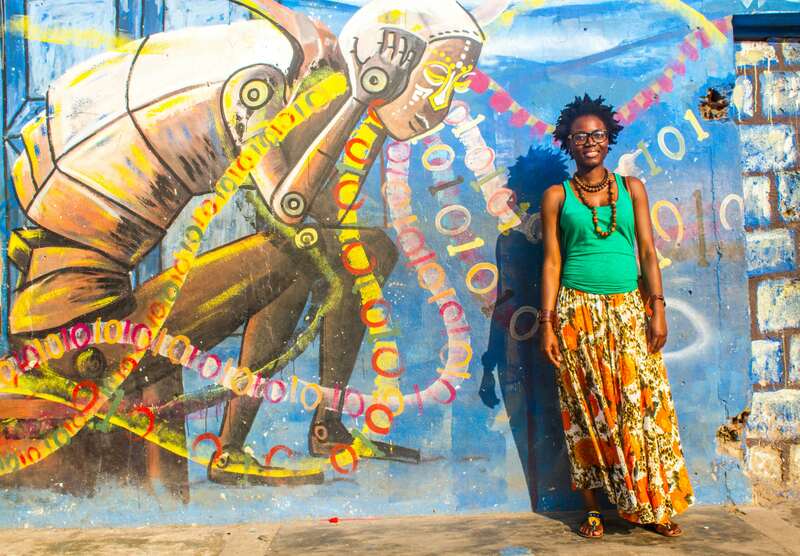 Adjoa Amoah works with the Foundation for Contemporary Art Ghana; the visual coordinators of Chale Wote 2014. Word reaching us is that they have quite an exhibition at the festival grounds this year, so of course we are looking forward. 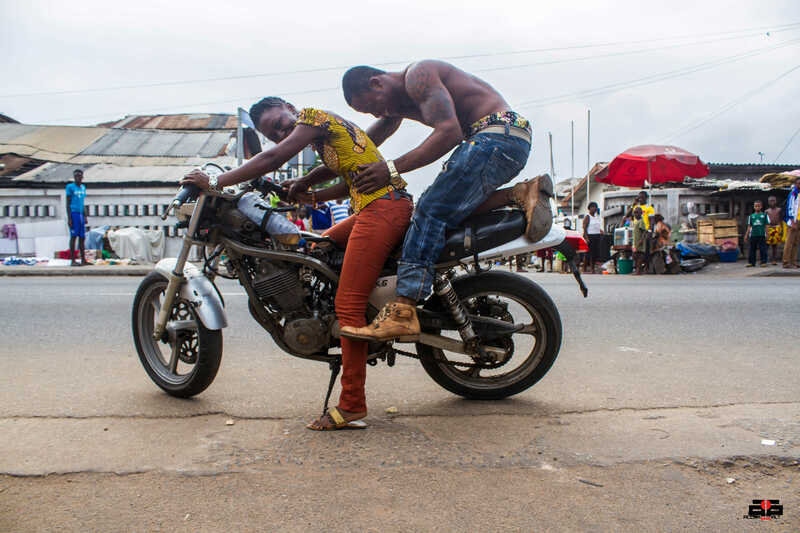 Nii Armah is a talented craftsman in James Town.